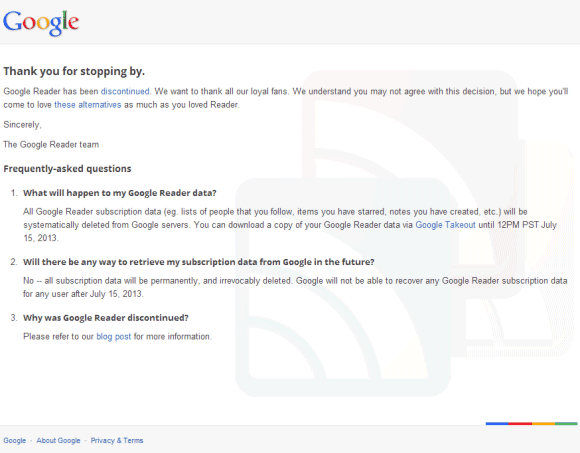 I don't understand why Google removes Reader data so soon and why the message uses words like "systematically deleted", "permanently, and irrevocably deleted". It's like they try to get rid of everything that's related to Reader. I can still download Google Buzz data from Google Takeout. A similar message was posted for Google Health, but users had one year to download their data.